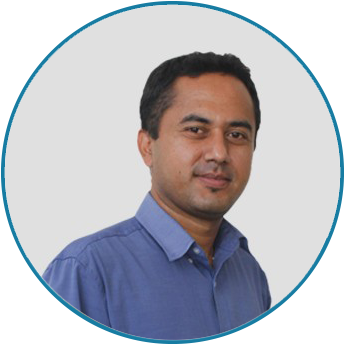 Mr. Abhas Ghimire is a MEL Coordinator within the firm, and has over six years of diverse experience in Monitoring and Evaluation, database management and data analysis in both the private and development sectors. He has extensive experience in designing evaluation projects and maintaining databases, managing data integrity, data migration, data modelling, analysis of both quantitative and qualitative data, and writing reports. He is well-versed in sampling fundamentals, survey design, and data collection techniques along with descriptive and inferential statistical procedures like Cross tabulation, estimation, and regression analysis. Mr. Ghimire is proficient in the use of ODK, KoBo, SPSS, R, Excel, SQL, Microsoft Access and Oracle databases. He has served as a Data Manager in numerous assignments carried out by the firm and has been responsible for the overall management of the project’s database. He earned a Masters degree in Economics from the University of Oregon, USA and Bachelors degree in Economics and Computer Science from Georgia College & State University, Georgia, USA.